The following requirements and documentation are necessary for us to perform an accurate analysis of a reimbursement request. In order to enjoy reimbursement benefits the passenger must necessarily have communicated the loss in a timely manner to our Operational Call Center. Doctor’s prescription (original or copy). Sales receipt for the prescribed medication. Medical report, doctor´s prescription or medical record, as applicable, regarding the condition suffered by the patient. Receipt evidencing payment of the expenses incurred for medical assistance. File PIR or Lost baggage claim form issued by the Airline Company. Checked baggage weight tag (if baggage was lost). Evidence of payment by Airline Company. Receipts for essential items purchased (if delay in baggage delivery). Flight delay or cancellation report issued by the Airline Company. Receipts for expenses incurred due to delayed flight. Original and valid receipts for payments made to the travel agency hired to provide the travel services. Fine ticket withheld by travel agency /airline company or cruise line. Doctor’s report or Medical History regarding the medical care that caused the cancellation. All documentation submitted to us will be evaluated in accordance with the Terms and Conditions that govern the travel assistance service. 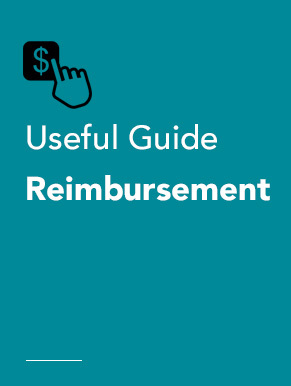 Response time regarding reimbursements is generally tied to the complexity of the request and to the submission of all the required information detailed above.